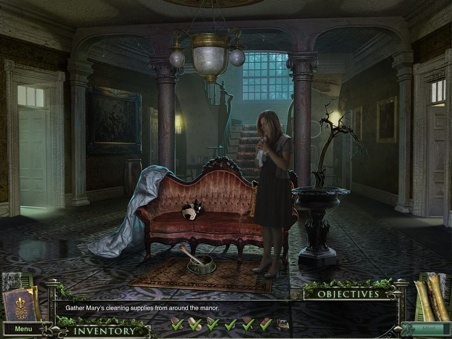 The lead designer behind Mystery Case Files: 13th Skull pays homage to FMV in the company's newest hidden object adventure. The App Store has more than a few hidden object games, with publisher Big Fish Games leading the charge. 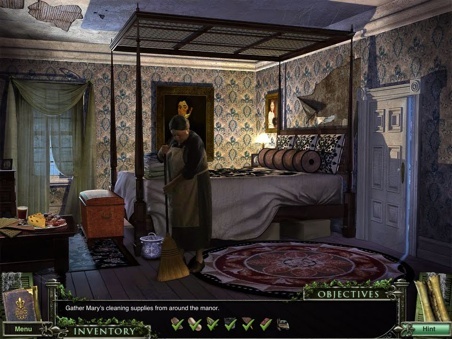 The company does a great job finding new ways to breathe life into this time-wasting sub genre, and its most recent release, Mystery Case Files: 13th Skull, incorporates live actors into the plot. It's like a Sega CD game from the 90s, but good. To learn more about how the project came together, we tracked down Lead Designer Adrian Woods, who shed some light on the process of finding the actors, and where Big Fish goes from here. Playing 13th Skull brought back memories of all those FMV games for Sega CD. In a wonderfully nostalgic way, of course. Is that the vibe you were going for? Definitely. I've always been a big fan of 7th Guest, 11th Hour and Myst. Realistic characters are a challenge in any game, but the difficulty compounds with the limited production time and budget for casual titles. When did you make the decision to go with live actors? This is the third Mystery Case Files game to employ live action and we dialed it up considerably from the previous year's Dire Grove. The delivery of increasingly complex narrative was the primary driver for using FMV; it's hard to tell a story without people, so you don't have many options. What's the process integrating these actors into the game, and where did you get them from? Did they read their lines away from the studio, or did they come in? All the actors in 13th Skull are Seattle locals with varying degrees of experience. Due to budget concerns, we opted to use local, non-union folks for this title, as there were more speaking roles. None of us game folks are video pros, so we leaned on ThinkLab, a local production house, to assist with the live action. We wrote the script and storyboarded the shots, then spent about a week on a nearby sound stage capturing the performance in front of green screen. After crossing our fingers, we edited the footage, compiled it into the game and hoped for the best. What long-term plans do you have with this technology? Will you integrate live actors into future hidden object adventures? I'm sure you'll see more FMV in games as production values rise. We'll use it if it makes sense to the gameplay/story and players enjoy it, but I would never do it for its own sake. How could this change iOS development moving forward? More specifically, how does this alter the direction of Big Fish? Full motion video in games hasn't come into its own yet, but who knows, it's still early. The line between games and traditional media might begin to blur when you're sitting on the couch interacting with Apple TV through an iPad. Who's your favorite character in the game? Travis "Cooter" Landry, without a doubt. He's the consummate southern stereotype. If you're going to go exploring in the bayou, wouldn't you be disappointed to not run into a guy like that? We had a lot of fun working with all the characters, but he was certainly the standout. It's fun to click on him randomly to see what he'll say next.